The Cynosure Elite+ laser system makes it possible to offer a variety of exceptional treatments, including medical-grade laser hair removal. The Elite+ system can effectively treat a wide range of skin types to deliver beautiful, smooth skin that lasts. This service is exclusively offered at our Rockland location, but consultations are available at our Orleans location to see if you’re a good candidate for treatment. 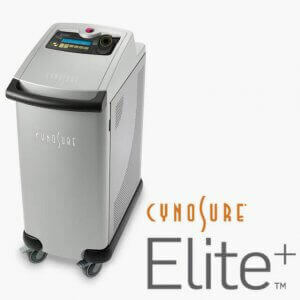 As one of the most advanced and comprehensive laser systems available today, Cynosure’s Elite+ laser technology has been designed and optimized to treat all skin types. What’s more, this system also offers effective treatment for pigmented and vascular skin lesions as well as skin rejuvenation applications. Elite+ uses two wavelengths in a single system, Alexandrite 755 nm and Nd:YAG 1064 nm, allowing for exceptional flexibility during a single procedure. This flexible and versatile combination has made it possible for people of all skin types and tones to get rid of unwanted hair, permanently. The Alexandrite wavelength is suitable for most skin and hair types, while the Nd:YAG wavelength can target darker complexions safely and effectively. What’s more, the larger spot size allows for faster skin treatments, getting you the results you want faster than other laser systems. No matter your skin type and tone, you’re likely already an ideal candidate! The Cynosure Elite+ laser system makes it easier than ever for people with darker complexions and hair types to get laser hair removal treatment safely and comfortably. 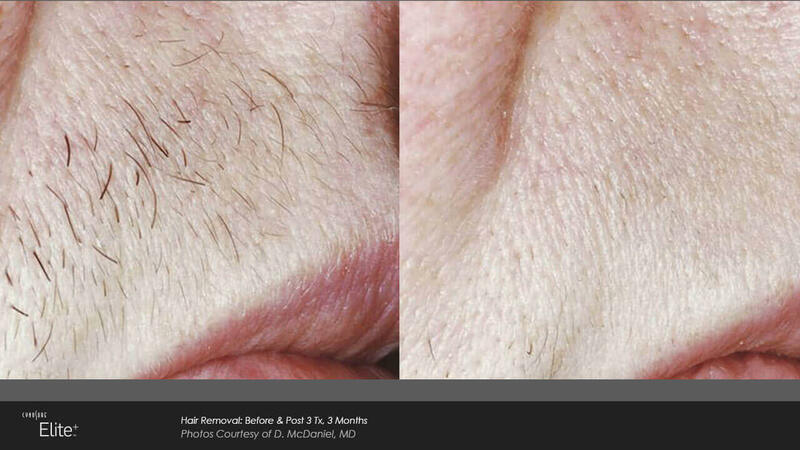 Laser hair removal treatment frequently targets facial hair, back hair, the chest, arms, legs, underarms, bikini area, and more. Yes! Laser hair removal treatment with the Elite+ system has been clinically tested and carefully monitored to ensure client safety at all times. 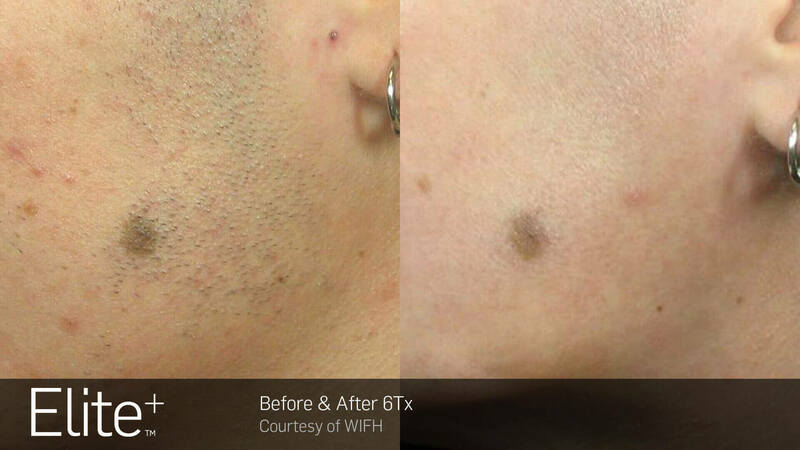 Many advances in laser technology have made it safe for people with lighter hair and darker skin to get effective, long-lasting hair removal treatment. As with most laser treatments, the sensation varies from person to person. When the laser is applied, most patients experience a sensation like a rubber band being snapped against the skin, followed by a heating feeling. There are many cooling methods available to help relieve any discomfort after treatment.